Breaking news from NXP at Embedded World 2016! After the merger of NXP and Freescale, learn about the "NEW NXP". 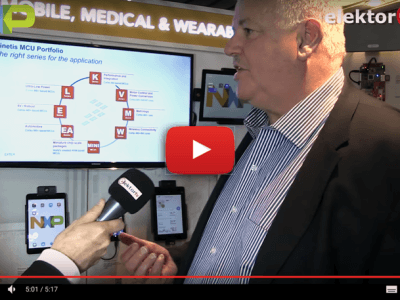 At the Embedded World 2016 show the ElektorBusiness.TV crew was invited by NXP to talk to Geoff Lees, Senior Vice President of Microcontroller and i.MX Microprocessor Groups. Breaking news is the release of the LPC5411x, the latest in a series of ultra low-power Cortex M-4 and M-0 Plus microcontrollers. The race for the µA and nA in sleep mode and wake up mode is still very much going on. 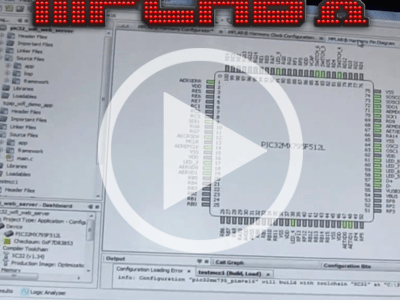 Elektor.TV | What’s new in MPLAB X? If you’ve developed with PICs or dsPICs, you’ve probably worked with the MPLAB IDE. It’s already been 4 years since MPLAB was replaced by MPLAB X, the cross-platform IDE that supports the entire Microchip’s MCU portfolio that we know today. Since then, it has been expanded and improved. The future of human interface devices is… touchless. 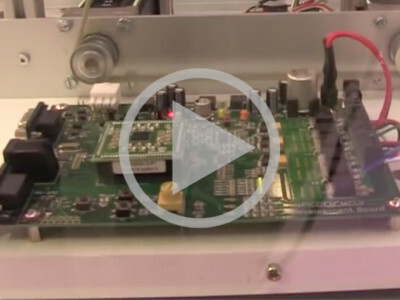 At Elektor we’ve been already working with Microchip’s Hillstar devkit (that brings in the MGC3130 GestIC controller), but the question always was: How to combine controller and display in one device, keeping the same accuracy of the controller pad alone? Christof, Field Application Engineer at Microchip, explains us how to quickly simulate, compile and implement control algorithms for our designs using Mathworks’ Simulink. This demo application is based in a brushless DC motor with a control board, and an additional interface that measures the actual values and sends them back to the Matlab environment.